Never underestimate the determination of a child! Young Emil catches a train to visit family in the big city. Something valuable is stolen. But the thief soon discovers Emil was not such an easy target. A group of quick-thinking and resourceful children rallies around. Can a bunch of kids work together to uncover and outsmart the true criminal? Kästner’s 1929 novella is more than a ‘good romp’, it broke ground for the independent-children-versus-devious-adults story genre. Streetwise city kids, a hard-working single mother and Emil’s past brush with the law add grit and nuance to this satisfying tale. How do we find our friends in the world? How do we work together to defeat tricksters? In Slingsby’s signature intimate theatrical style, Emil and The Detectives is told by two skilled actors immersed in smoke and mirrors, miniature worlds and a cinematic score. Dark and light, intrigue and delight for audiences aged eight and upwards. Emil and the Detectives was german author Erich Kástner's most popular story, and has been translated into over 59 languages. It was his only book to avoid Nazi censorship. 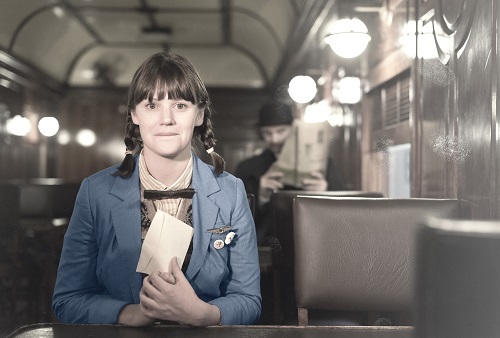 The play took our the 2018 Helpmann Award for Best Presentation for Children Suitable for school audiences, Slingsby has developed education resources to be used by teachers and educators. Emil and the Detectives should be experienced by students, families (including grandparents) and theatre goers alike. Emil and the Detectives continues Slingsby’s investigation into immersive theatre that puts the audience at the centre of the story, involving them in the creation of the aesthetic. The audience are welcomed to Newtown Station by local performers dressed as Train Attendants and invited to Help Plan Our City by making small shadow buildings that are used in the production. Emil and the Detectives provides audience engagement before, during and after the performance. Slingsby is also available to run tailored workshops with schools and the community. Fixture List ● 4x Clay Paky Scenius Unicos (can be provided by company on arrangement) ● 16x 19o Source 4 ● 8x 25/50o Source 4 Junior Zooms ● 5x Rama Fresnels ● 5x MR 16 MFL ‘Birdies’ ● 1x Hazer ● All data and power cabling as necessary. ● Appropriate levels of blue light backstage. Presenter to provide: ● Standard venue FOH system. ● 1 x effects speaker positioned upstage centre. (e.g. JBL 510 or similar). ● Onstage foldback for performers. ● Wireless Comms or talkback system from stage to operators position. Venue Emil and the Detectives is designed to fit within a standard studio setup or a proscenium arch theatre. Capacity Best Audience Size: 250 -300 Maximum Audience Size: 500 Presenter to provide ● Black stage floor to dimensions of 11m wide x 7m deep ● Access into auditorium from stage level ● Standard stage masking Please note: In addition to the main performance Slingsby curates immersive pre-show audience engagement activities including making a city. The scale of the pre-show experience is determined by the layout of each venue. Please discuss with Slingsby.